In the first part of this three-part tutorial, we will write a Python program, using the OpenCV library, to perform threshold-based scene detection, to determine the exact frames where scene transitions (fade ins/outs to/from black in this case) occur. In the following tutorials, we will optimize our scene detection algorithm, and use the output to create a scene list with proper timecodes (Part 2) so a video can be split automatically into scenes. Lastly, we will cover how to detect content-based scene changes (in a future Part 3, coming soon), and combine this with the concepts from the previous tutorials to create a robust scene detection program. You can download the source code and test video from this tutorial via the Github repository (see the Releases page to download everything in a single zip/tar archive). The OpenCV bindings for Python allow you to quickly experiment with images/videos. 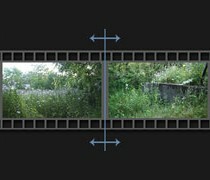 Specifically, the OpenCV library handles all the low-level interfacing to actually decode video data (using FFmpeg, and thus is compatible with many different video formats), and uniquely, the returned video frames – as well as other image objects for that matter – can be accessed as a NumPy array. 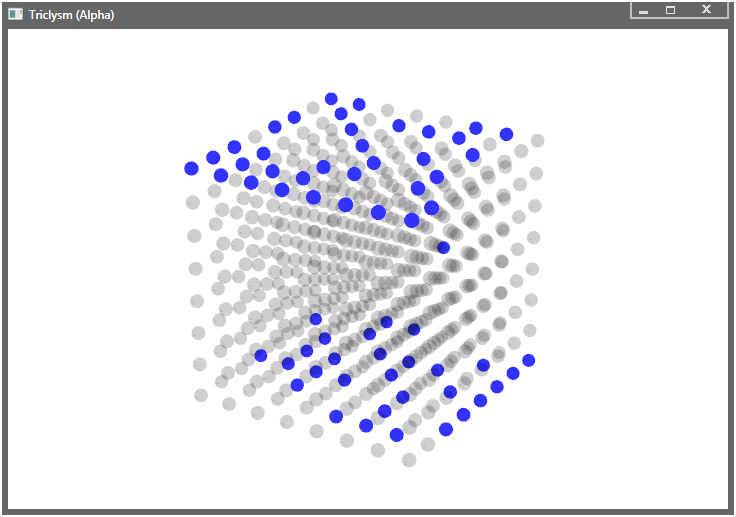 This allows you to perform MATLAB/Octave-like operations on the image data easily and concisely. Firstly, this tutorial assumes that you have installed Python 2.7 (I believe at the time of writing this, the OpenCV bindings are only available for 2.7), as well as the OpenCV bindings themselves. If you are a Windows user, you might want to see this question on Stack Overflow; on Linux, I was able to install the bindings right from my package manager. To verify that everything is installed correctly, fire up a Python console, and type import cv2. If there are no errors, everything should be set up correctly! The output of PySceneDetect will be a text-file containing the timestamps of each event (either a fade-from or fade-to black). The idea is that these timecodes can then be used to split the source video into individual scenes with another program (mkvmerge, VideoDub, etc…). In this part of the tutorial, we will print the time and frame number for each fade event to the console. print "Error - file name must be specified as first argument." # Do stuff with cap here. # Do stuff with im here. 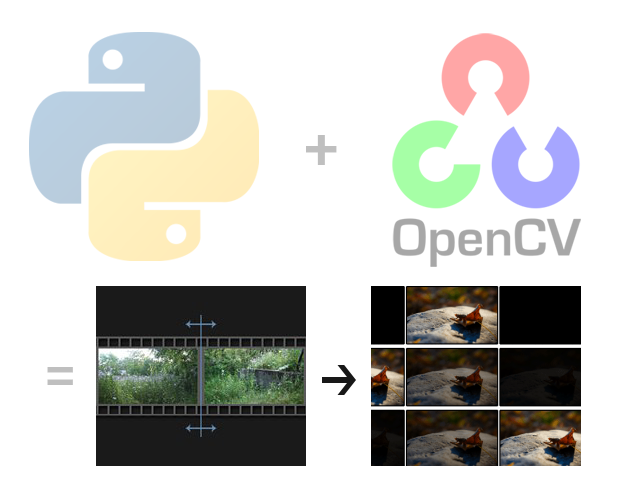 Note that the returned image im is a Mat type object, and can be accessed with the same methods as a NumPy array due to the compatibility in it’s implementation. Now that we have the image, we need to analyze it to determine when a scene cut occurs. Since we want to know when we have faded in or out of black, we can compute the average intensity of the pixels in the image, and compare this with a set threshold denoting the black level. We need to compare the average to a threshold and not simply zero, since compression artifacts or encoders sometimes will not produce a fully black frame. # Allow the threshold to be passed as an optional second argument to the script. last_mean = 0       # Mean pixel intensity of the *last* frame we processed. # Detect fade in from black. # Detect fade out to black. last_mean = frame_mean     # Store current mean to compare in next iteration. # Compute mean intensity of pixels in frame. # either im.mean() or np.mean(im). This change brings the runtime down from 4.10 seconds to 2.86 seconds (for parsing the entire testvideo.mp4 file), with a resulting increase in processing speed from 176 FPS to 251 FPS. You can download the source code and test video from this tutorial via the Github repository (see the Releases page to download everything in a single zip/tar archive). The code from this part is in the file part1-threshold.py. Detecting scenes with threshold = 15. Detected fade in at 1167ms (frame 35). Detected fade out at 6172ms (frame 185). Detected fade in at 7440ms (frame 223). Detected fade out at 11945ms (frame 358). Detected fade in at 13480ms (frame 404). Detected fade out at 23156ms (frame 694). Read 719 frames from video in 2.86 seconds (avg. 251.1 FPS). Detecting scenes with threshold = 50. Detected fade in at 7974ms (frame 239). Detected fade out at 11411ms (frame 342). Detected fade in at 13913ms (frame 417). Detected fade out at 22722ms (frame 681). Read 719 frames from video in 2.96 seconds (avg. 242.9 FPS). Just as expected! And that’s all for the first part. You can use the program for this part as-is, for a quick method to determine the frame numbers where transitions to/from black occur in a video; see the header of the part1-threshold.py file for usage details. The next tutorial in the series is Part 2: Adaptive Threshold Detection, where we optimize the performance of the algorithm, and use the output to export a list of scenes/chapters (instead of fades). Post last updated September 15, 2014, and moved to new location on September 8, 2017.